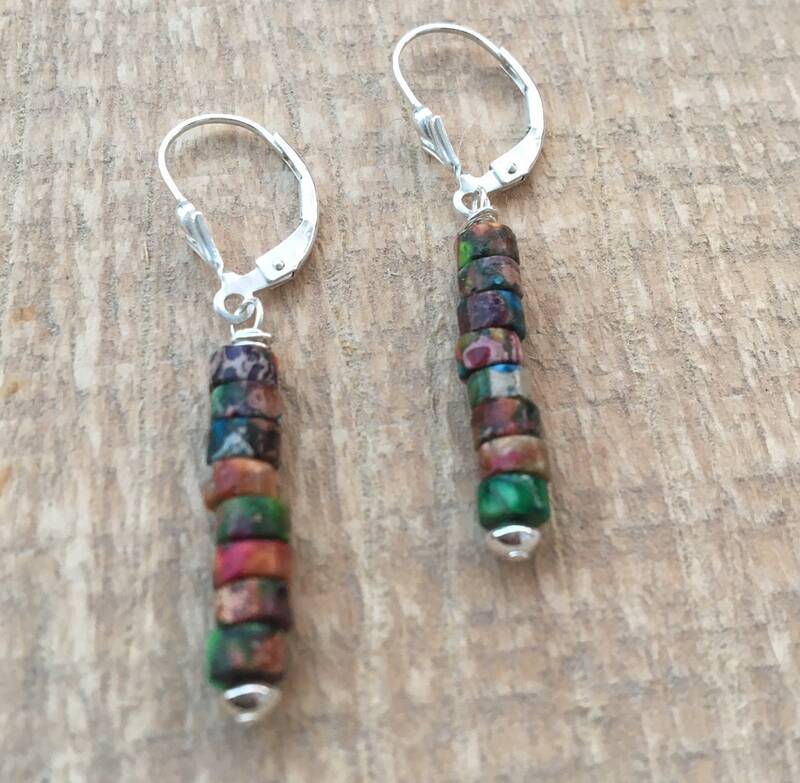 These sterling silver earrings have multi color Impression Jasper gems that are hand wired one by one. 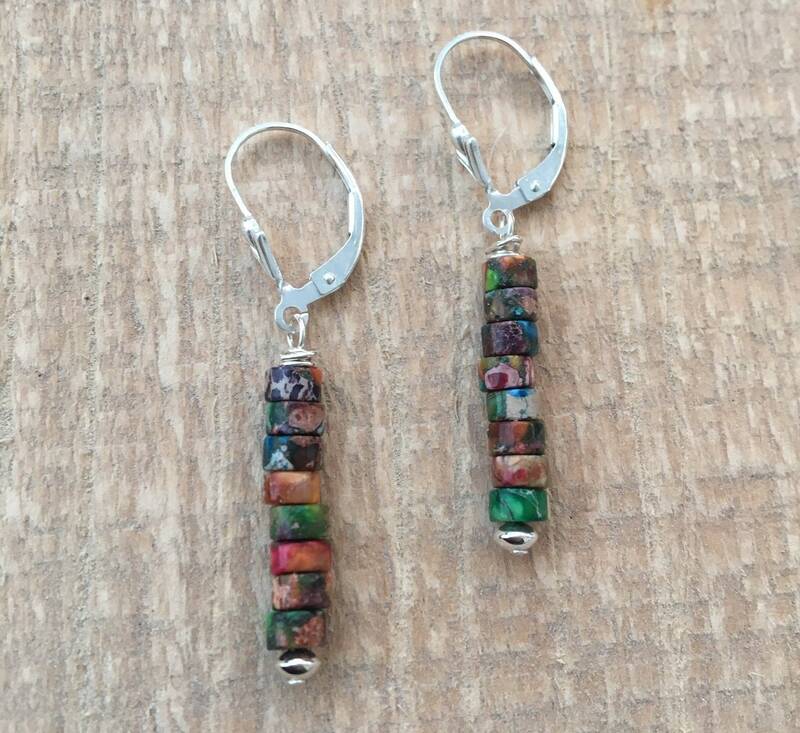 They are paired with sterling silver lever back earrings. You may also choose standard sterling ear wires if you prefer. 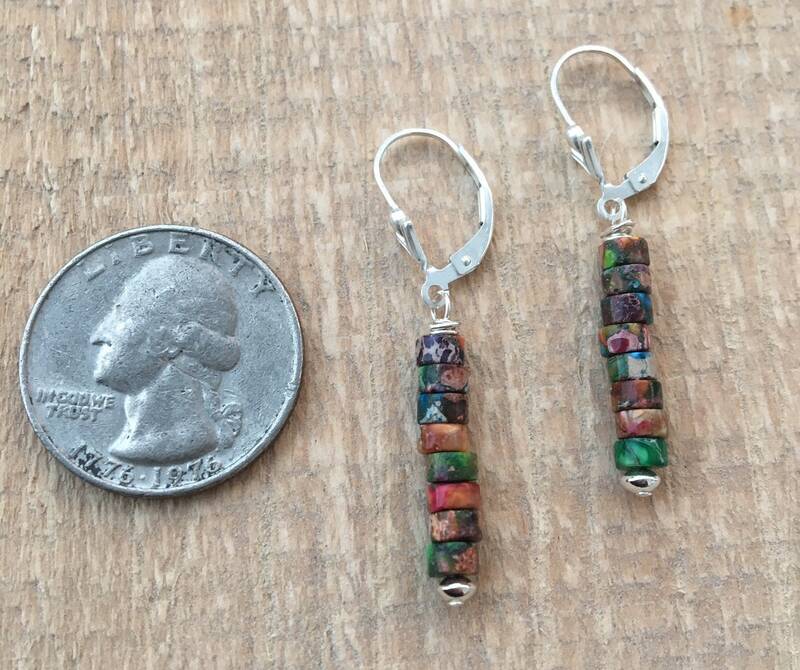 Measure 1 5/8" long including the lever back earring wire.